When we bought our condo people thought we had lost our marbles. Everyone knew we were desperate to find a house after our very quick relocation, but they didn’t think we were that desperate. Maybe we were desperate, or maybe we were smart, or maybe we were both. But our condo was a diamond in the rough… Very rough. The condo had been previously owned by a heavy smoker. Not only did it smell bad from the smoke, but in the upstairs, the bathroom had carpet in it, so it had a sewer-y smell to it. Not going to lie, it smelled super nasty. It also really hadn’t seen any updates other than new carpet since it was built in the early 1980s, which really didn’t matter because the carpet was so smoke filled it needed to be replaced anyway. My guess is most people walked in and then walked right back out. We bought it. I have been a professional realtor, home-stager, and decorator to varying degrees for almost two decades. My goal with staging is always to help people sell their home faster and for the most money possible… or at least that’s the hope. So with this property, I got to put my money where my mouth was when we listed our home for sale. Had I practiced what I preached? Had I done enough? Had I priced it right? Had I timed it right? These are questions everyone who sells their home asks, but my reputation was on the line. Fortunately, I delivered. Reputation still intact. We sold our condo for the full asking price ($30,000 more than any other unit had sold prior in our development), on the first showing, with multiple back-up offers. Our neighbors are thanking us. I don’t go into all the nitty-gritty renovation details in this post, but I will say, that almost every single surface was touched/altered in some way. We did it all on an extremely tight budget. Do you want to do this too? Here are some tips on how to be successful. Start by buying the ugliest house in the best neighborhood. You’ve heard this before and it’s simply true. You want to find a home that has the best per square foot price. But try and find the one that needs cosmetic changes unless you really know what you’re doing. Avoid homes with major structural problems or mold unless you understand all the risks and the spread makes sense. I try to avoid bad neighborhoods… even if the house is a good deal, it really is still all about location, location, location! Do as much of the work yourself as possible. Obviously, if you don’t have to pay someone to do something, this equals dollars in your pocket. But know your limits. I am pretty handy, but I know my limits. If you get overconfident thinking you can do the work yourself when actually you can’t, then it could up costing you more in the long run. We hired out most the electrical, and some of the plumbing and a few other odds and ends. I also suggest finding an affordable, reliable handyman. Get referrals. This is important. Shotty work will cost you at home inspection time when the inspector is paid to point out EVERY. LITTLE. FLAW. It’s a tough pill to swallow, but you will do it yourself on your next purchase. Know your buyer when making finish selections. If you live in a nicer move up neighborhood, you may want to put in granite instead of Formica… just make sure you get the best price possible. Know what your buyer might expect in your price range and do the nicest possible version of that. So in my neighborhood, not very many units had been updated, but our most likely buyer would be the 55+ downsizer, and more importantly, our sales price would be under $200,000. So I knew I could get away with a laminate counter… which, by the way, has improved TREMENDOUSLY over the past several years. 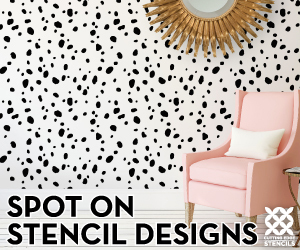 This isn’t your grandma’s Formica anymore. I went with faux Carrera/Calcutta marbles. And in the kitchen, I did a white subway tile backsplash… giving a high-end look, at a much more affordable price. We refaced cabinets versus replacing. If we were staying for the long haul, replacement is a great idea, but we knew we were and this saved us thousands of dollars. If you know your market and you know your potential buyer, it will make it easier when you are trying to stretch your dollar as far as possible. So a few months prior to listing our condo we had it appraised and it came back $32,500 less than we sold it for. Scratching your head? I know I was. Our condo was nice… I had done a lot of nice things to it, but there was no overall “WOW” factor. The final thing I did, which I believe took our unit from being nice to over the top was moldings. Trim. It went from being a nice renovated condo to a showpiece. All for less than $150. That is another post, however… but after I installed and painted the bat and board wainscoting that put us in a whole different ballgame adding thousands of dollars to our bottom line in my opinion. Finishing it off with nice architectural details makes it more desirable and stand out from the competition. Case in point: Our unit was a middle unit and we sold first and for about $10,000 more than an end unit that was less upgraded but had done some updating, and end units typically always sell for more. I a lot of credit to the trim. Get it “Designed to the Nines”! Appraisers, realtors, brokers everyone will always tell you that a nicely decorated home does not = more money for your house. I disagree. It equals more money in two ways. It sells faster which means more money for you and it will sell for more money than the boring house next door, because it has more perceived value. I speak from experience. Call me crazy, but two identical houses and one is decorated well and maintained to perfection is going to sell for more money plain and simple. I will reference my scenario from point 4 again. Our units for all intents and purposes were the same… mine sold for significantly more and decor and design had everything to do with it. People do not like other people’s dirt. Your home needs to be extremely immaculate, so if you need to hire this out, do it! This cannot be overlooked. Every care should be taken to make your house so immaculate you could eat off the floors, smell wonderful, and be inviting. You never get a second chance to make a first impression. Also, do not leave pets at home during showings because not everyone is pet-friendly or they may have allergies. I always think of this because my husband and son have extreme allergies to furry creatures. My husband can tell immediately if there have been pets ever in a home. If this is the case then we usually switch out carpet and do extra cleaning, but if the pet is home we have to turn around and leave because they always want to say hi to him first. So you don’t want to loose potential buyers by leaving pets at home. A lot of work has been done to get your home ready for the market… now it’s time to hire a great agent to help you present it in the best fashion to the market. This agent can help you come up with a pricing strategy that works. You need to look at this as a business transaction and separate yourself from all the sentimental attachments. Notice I did not list timing. Yes, there is some truth to getting your home on the market at the ideal time. But I am of the opinion that if your home shows great, there is always a buyer no matter what time of year. We listed our home in February. Not exactly ideal selling time, especially in Maine, where people tend to hibernate in the winter. However, it had been an unseasonably warm winter and I had a feeling people might start poking around a little early… we were bursting at the seams as a family and so we were motivated for more room. My gut was right. Timing is important and should be taken into consideration, but a well-staged home should be able to sell any time of year. The bonus to us: we got a good deal on the home we purchased and I think the time of year played into that scenario because it wasn’t staged to sell. There are dozens of minutia staging tips I could give you. This is just a broad spectrum of what we did to be successful at listing our home. Not sure what to do? 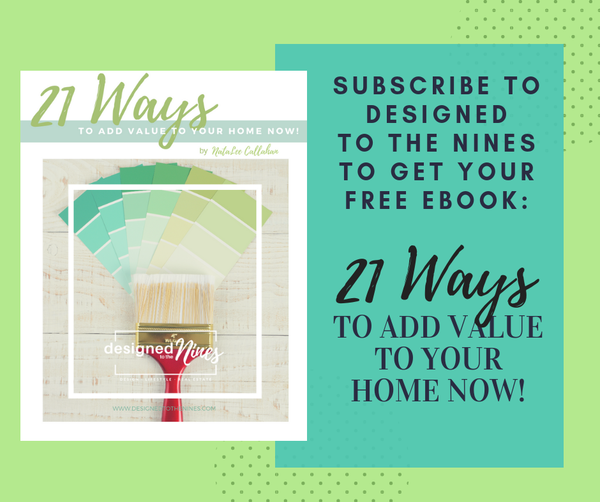 Check out my free eBook, 21 Ways to Add Value to Your Home Now! Still not sure what to do?? You can always hire me to tell you. =) I do design consultations… even virtual ones.